The Eighties are also remembered for the obsession many had with fitness and bodybuilding, at those times. 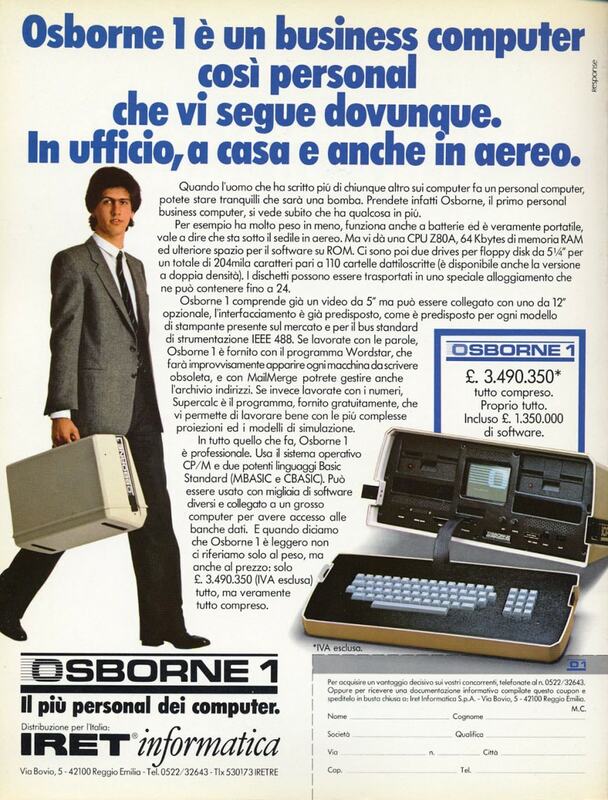 And indeed the guy carrying his Osborne 1 “portable” microcomputer in this advertisement must have had a very trained arm to swing the over 24 pounds of plastic, metal, and silicon of the Osborne with a smile. 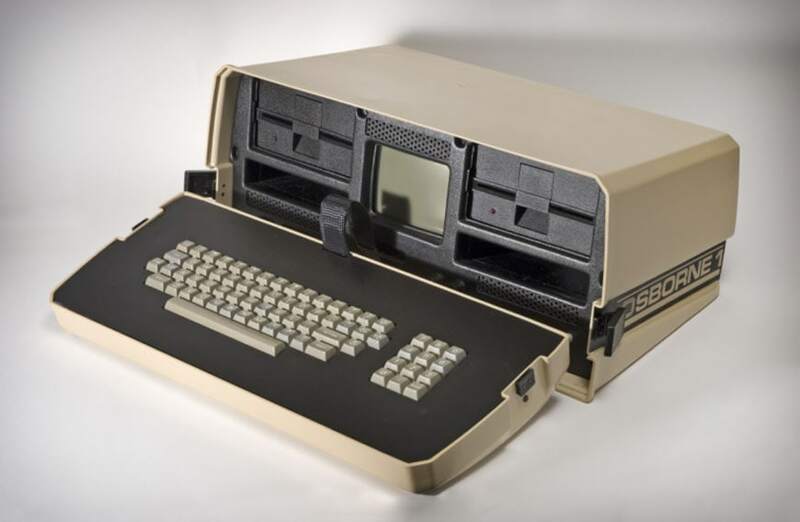 Designed by American engineer Lee Felsenstein, the Osborne 1 is widely considered the first portable personal computer ever (the IBM 5100 anticipated it by six years but was so outrageously expensive that it’s hard to call it really “personal”*). 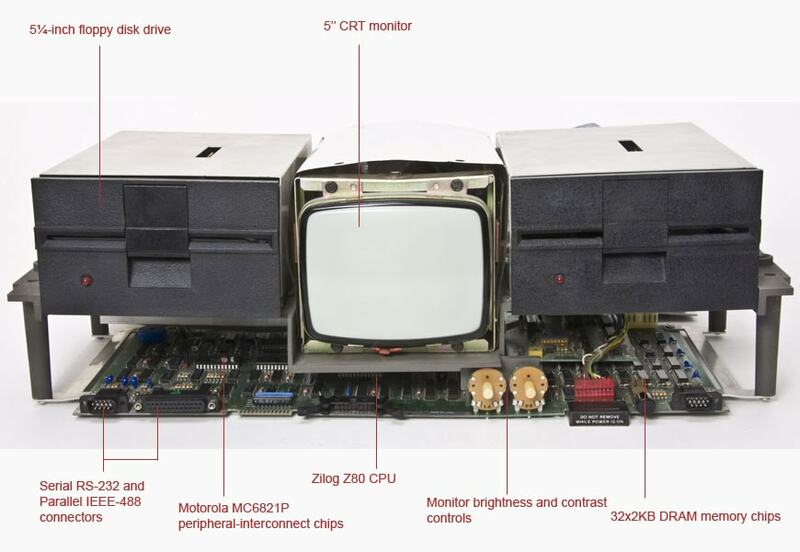 It had been also the only one produced in high volumes by San Francisco-based Osborne Computer Corporation during its brief life, from 1980 to 1985. 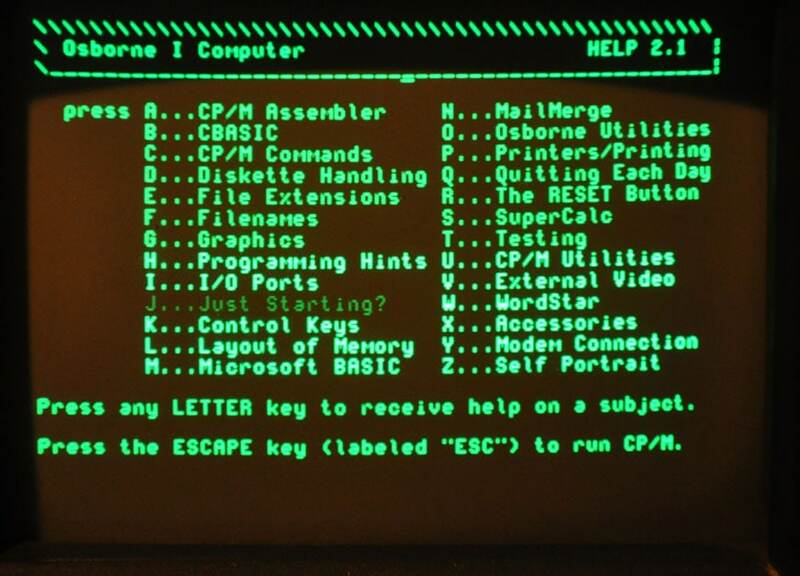 The machine was based on a classic Z80-CP/M architecture, with a 4MHz Zilog Z80 processor and 64KB of RAM, and was bundled with a comprehensive software pack which included a word processor, a database, and a spreadsheet. The software bundle was stored on single-side floppy disks, since the machine, like most computers of the time, didn’t include a hard disk drive. 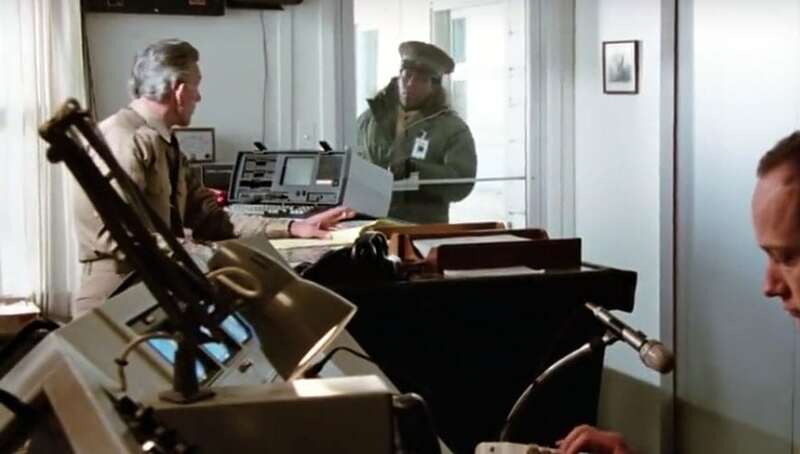 The biggest problem with the Osborne 1 (besides the weight) was its tiny 5-inch CRT monitor; it was theoretically possible to connect the PC to a larger external monitor, but this would have, de facto, nullified its portability. 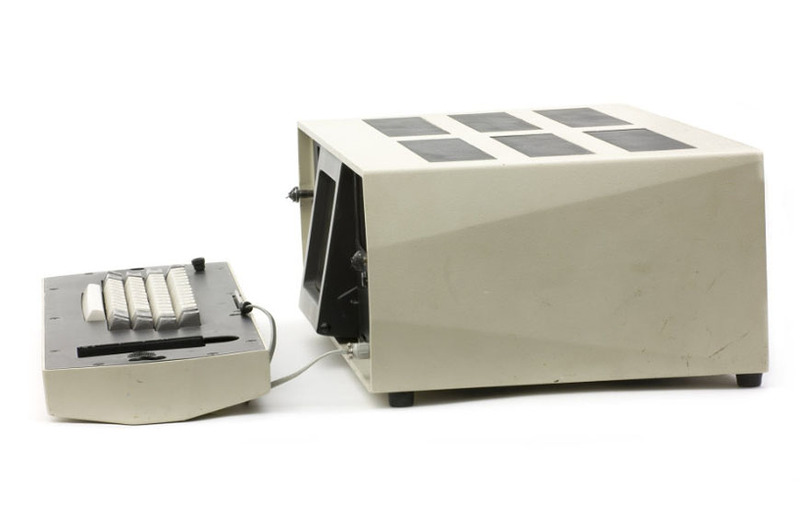 Another problem was that the computer was a bit prone to overheating; indeed, the Osborne 1 was fanless, therefore the machine was cooled only by convective heat transfer through a vent cut in the case. Despite such drawbacks, the Osborne 1 encountered a good commercial success in his first year; its innovative concept, robust design, and very reasonable price ($1,795 in 1981, corresponding to about $4,800 in 2017 dollars) were highly appreciated by businessmen, small and medium enterprises, and schools. 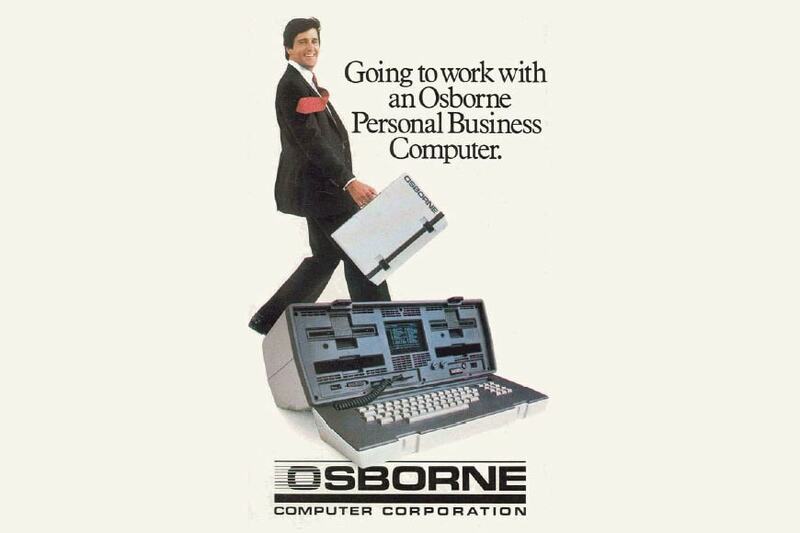 Unfortunately for Osborne, the introduction of the IBM PC, that of other portable computers with better performance such as the KayPro II, and the advent of the first true laptops, like the GRID Compass, rapidly undermined the Osborne 1 success. But the worst move was made by Osborne itself which, in 1982, prematurely announced the release of two OC1 successors, the Executive and the Vixen, thus implicitly inviting people to stop buying the “outdated” model and quickly leading the company to bankruptcy three years later. 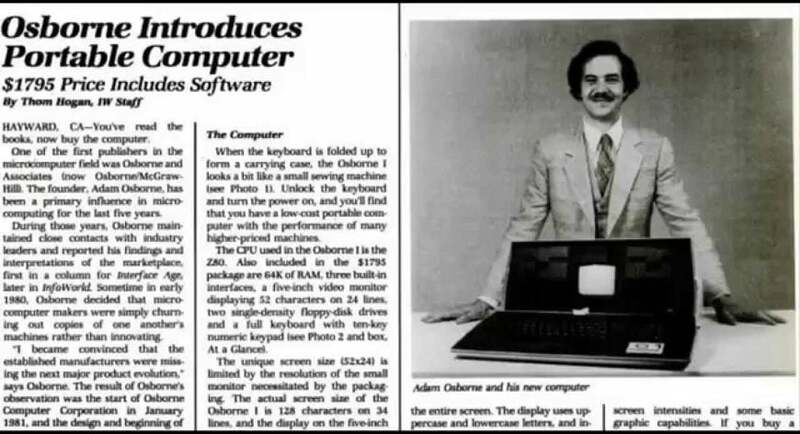 If, as said, the Osborne 1 was neither the first portable computer nor the first laptop, why it is still considered a milestone in computer design? The reason is that all the “portable” PCs manufactured before were not really…portable; indeed, that definition was often used to differentiate home computers from mainframes; even the 1965 Olivetti Programma 101, possibly the first PC ever, can be considered a “portable” computer in those terms (and its advertisements somewhat depicted it as such). 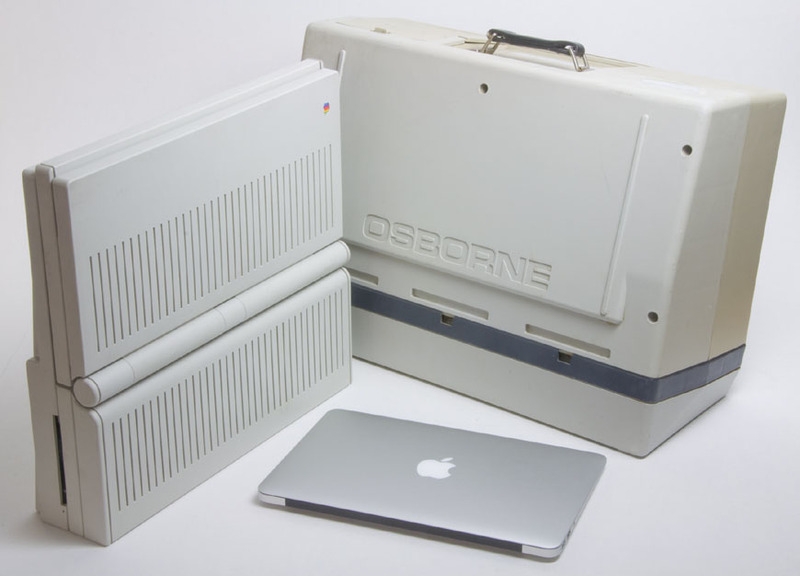 The Osborne 1 was instead the first computer which was truly designed with portability in mind. 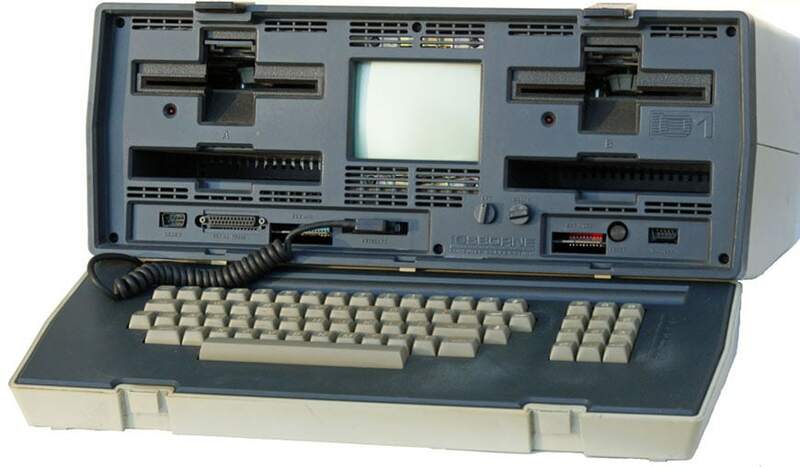 This is evident, for example, from its all-in-one concept, the briefcase-style body, as well as from the use of ABS plastic in order to reduce the computer weight as much as possible and to provide some kind of shock-resistance to it (the company also tested a metal case, but found it too expensive). To make fun of Osborne’s size and weight (as I admittedly did at the beginning of this article) is certainly funny, today. Nevertheless, we should realize that, in 1981, to create a truly portable computer was a visionary idea and a quite technically-demanding effort. 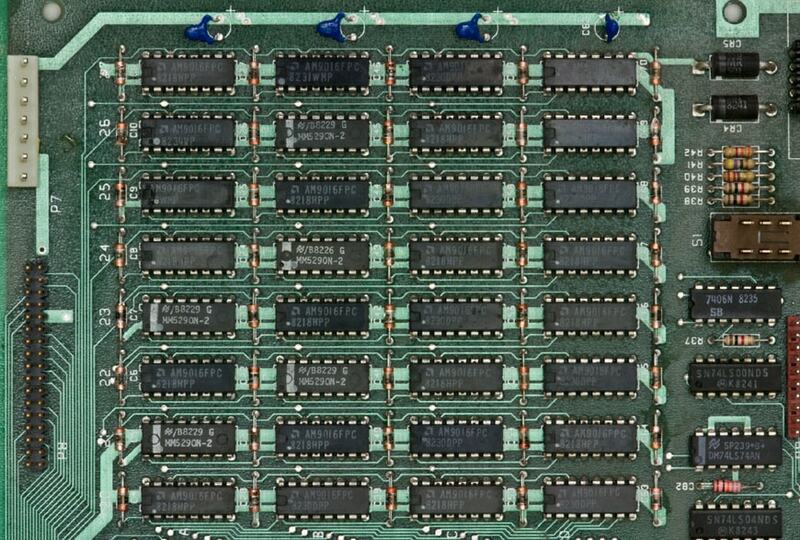 For example, look at how much room only 64KB of RAM took up those days. 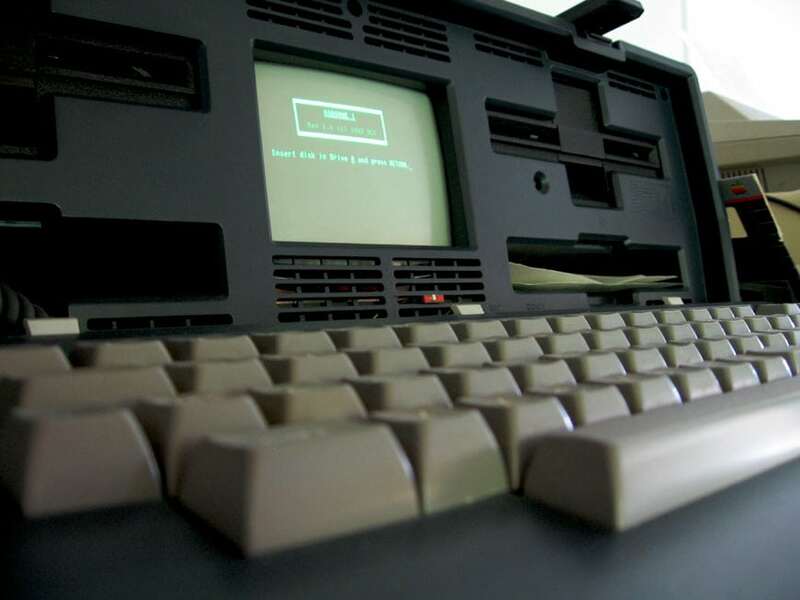 Therefore, considering that “portable” computers such as the IBM 5100 weighted 52 lbs / 24 kg or even more, the 24 lbs / 11 kg of the Osborne – so laughable today – actually seemed almost a miracle to many, in 1981. 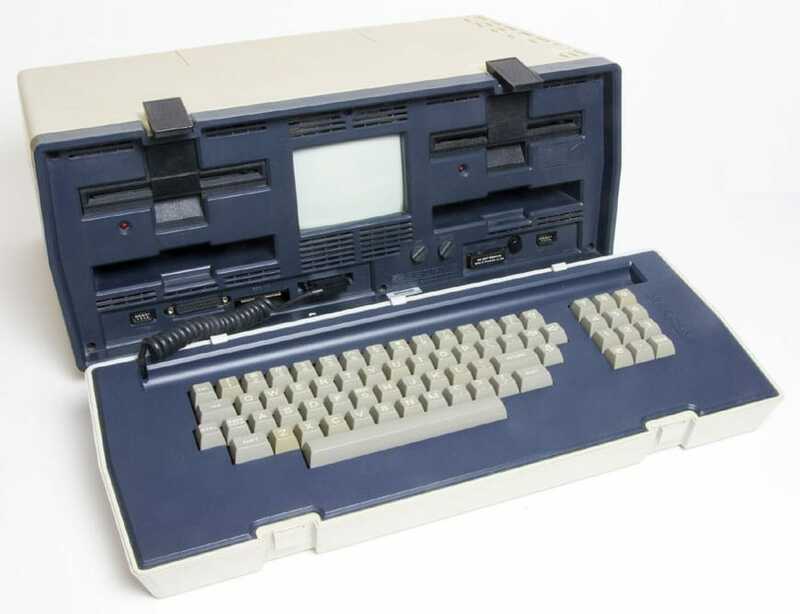 Despite its short life, the Osborne 1 indubitably marked a fundamental step in computer design, demonstrating that portable PCs were technically feasible and commercially attractive, thus somewhat anticipating the advent of laptops and tablet.